Yesterday we were able to provide you with some impressions of the new console/handheld hybrid by Nintendo, the Switch. To follow up on this, we are beginning to focus on what can make or break a system; the games. To begin, we will share our initial impressions of Nintendo’s first-party line up, as it is these games that Nintendo will be riding on to sell its system. I think that a lot of people were surprised that Mario Kart 8 Deluxe was the only Wii U game already out that was announced as getting a Switch update. It's not surprising that this is the one Nintendo would choose to port of all its games though, as the Mario Kart series have always been a blast to play with a group of friends. Releasing it in the launch window of the system is a smart move, as well, as those who skipped the Wii U over and are considering buying a Switch may very well pick up the Deluxe edition to catch up on the Mario Karting that they've been missing out on. Related reading: Read our review of Mario Kart 8 here. What makes it so deluxe is the inclusion of additional characters and an actual Battle Mode that people really missed from the original. In the hands-on time, I was only able to play the Balloon mode of the Battle mode in SNES Battle Map 1. This was quite fun, and the return of the Super Mario World feather (to allow your kart to "jump" into the air) brought back memories of playing the Battle Mode all the way back on Super Mario Kart. 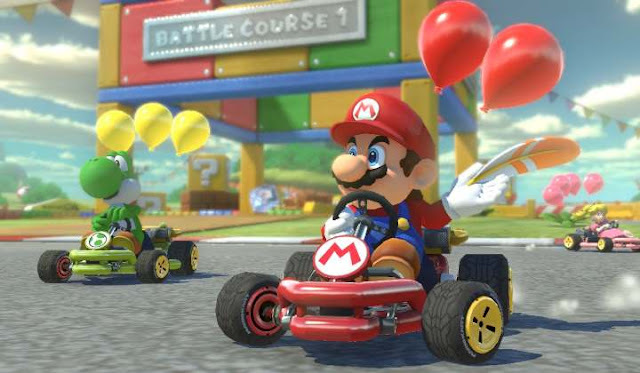 What was most interesting about Mario Kart 8 Deluxe’s Battle Mode is that play continues even when losing all balloons, though losing the balloons came with a penalty of halving my score; this way you never have to stop playing, but at the same time being knocked out means you're probably not going to win. Being able to carry two weapons at a time made for some interesting strategy too, I was able to activate a star, and then use a mushroom to boost directly into my opponents, for instance. Mario Kart 8 Deluxe also offers an auto-drive mode, where the acceleration is handled by the game and the steering is assisted so players can’t go careening all over the place. I can see this being used a lot in families where younger children want to play, but are restricted due to inexperience. We were able to play the game with a single Joy-Con, both with motion controls and traditional, as well as the Joy-Cons attached to the Switch. Both felt great and much more comfortable than using the Wii U Gamepad. 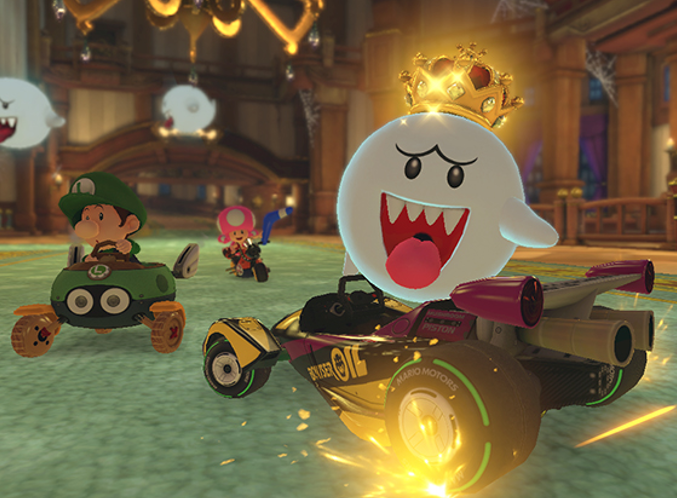 There were no new regular tracks to play, though the game itself comes with all the original Mario Kart 8 DLC. The new Inkling Boy and Girl characters from Splatoon seemed like well-balanced go-karters, slotting in along the likes of Mario, Luigi and Diddy Kong in terms of speed and handling. There was the odd omission of Miis though, who also never made an appearance in the Switch Preview video. A hint, perhaps, that Miis are a thing of the past? Overall, this looks to be the version of Mario Kart 8 to get, at least until the inevitable 9th instalment. I have something I need to admit. I have a Wii U, but I never played the original Splatoon. The modem that was given to me by my ISP never allowed me to play any of my Wii U games online, so Splatoon seemed like a waste of time in that context. Now that Splatoon 2 is releasing on Switch, that is all set to change. 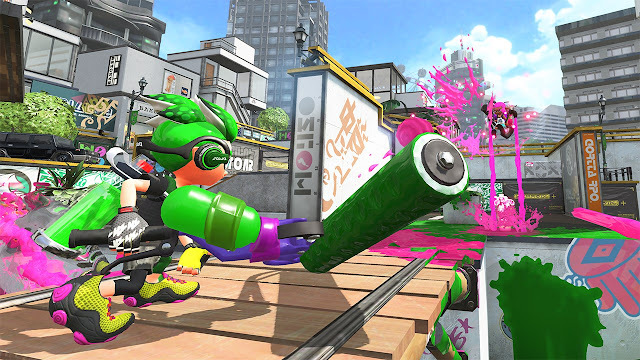 Related reading: Our review of the original Splatoon. The fact that I never played the original makes it hard to make comparisons. There is a new weapon type, new stages and updated ways to play, but all I can really say is that in the four matches I played, the game was an awful lot of fun to a first-timer. The lack of a Wii U Gamepad was apparently a concern for many, though pressing the X button brings up the map, and using the gyro controls to point to another player on the map took me to my comrades in battle pretty fluidly. I initially tried the game in tablet mode. 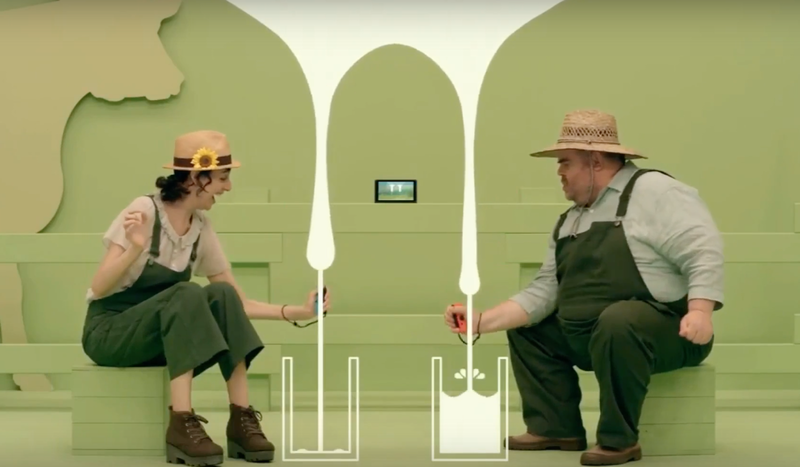 Despite Nintendo having the setup as 8 Switch consoles wirelessly communicating, it was easy enough to get all the detail in the game and have a decent 4-on-4 match with no lag whatsoever. The gyro controls never required me to wave the Switch around like a maniac either, as I was able to aim with the smallest of movements. I also played the game with the Pro Controller. Surprisingly, the controller also has gyroscopes, so the game controls in the same manner. Many people will prefer to play this way as it felt more natural to have the pro controller in my hands than the Joy-Cons attached to the Switch, but either way works completely fine. I’ll be brutally honest. I have no idea who this game is for. Nintendo claims it is a game that people will take to parties and use as an ice breaker, but I can’t really see people doing that. I leave the responsibility of party gaming to Arms (more on that tomorrow), and obviously Mario Kart 8 Deluxe. While it does showcase what the Joy-Con can do, outside of showing friends exactly what the Joy-Con is capable of, it just isn’t very fun. I wasn’t able to try every aspect of 1-2 Switch (the way the line was set up meant we got to try out one aspect, then had to go back to the end of the line, there just wasn’t time!). I was able to play Samurai Training and Ball Count, though there were others such as Quick Draw and Milk. Samurai Training required myself and the Nintendo rep to take a Joy-Con each. One person is assigned the sword while the other has to “catch” it. The sword-bearing player has to pretend they’re holding a sword, and swing it at the other player. The player who has to catch the sword needs to clap their hands around the Joy-Con at the appropriate moment. You can try to psych out your opponent by twitching your arms or waiting a longer period of time before swinging so that they can’t predict when the swing will take place, but you can also play this game with a broom handle, which costs about $1. The weirdest part of Samurai Training for me was the need to stare directly into a complete stranger’s eyes the whole time. Those like me who get anxious by the mere thought of being looked at in the eyes are going to struggle with this game, as Quick Draw requires the players to do this as well. Marble Count was a bit cooler. This one showcased the HD rumble in the Joy-Con. It’s actually pretty amazing how such a small controller can do as much as it does. I was sceptical during the Switch video when Yoshiaki Koizumi was feeling different amounts of ice cubes in his Joy-Con, but the technology backs up the PR in this case. The HD rumble was able to replicate the feeling of balls rolling around the inside of the Joy-Con as I twisted and tilted it. While the game itself is incredibly basic, this could make for some interesting software in the future. Overall, though, I can’t see 1-2 Switch being worth the price of admission, it just doesn’t seem to be targeted to a specific demographic that actually exists. Time will tell with this one. Stay tuned for more hands-on game impressions tomorrow!